4923 Hawk Shadow Lane, Charlotte, NC 28277 (#3389945) :: Robert Greene Real Estate, Inc. Stunning estate home on premium lot in tranquil Stone Creek Ranch. Located in top-rated Ardrey Kell School District. Notable features include: 2017 updated gourmet kitchen with granite and stainless appliances, 2015 roof, hardwood and bamboo flooring, 2015 carpet, 2015 interior/exterior paint, 2017 gas W/H, new light fixtures and ceiling fans, new brick pavers/fire pit. Don't miss this opportunity for a fully updated move-in ready home at an amazing value. 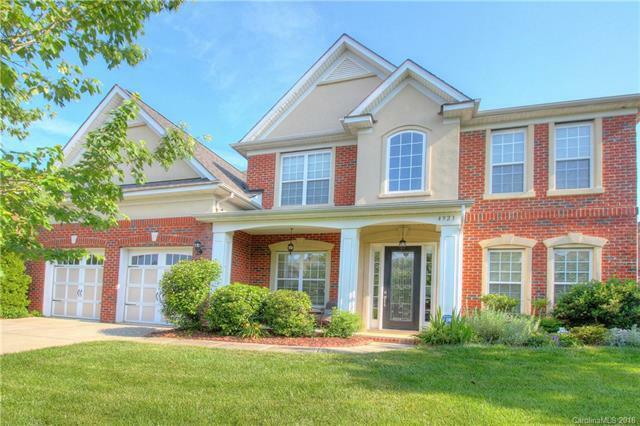 Just minutes to I-485, Ballantyne, Blakeney, Waverly and new Rea Road Farms area shopping.